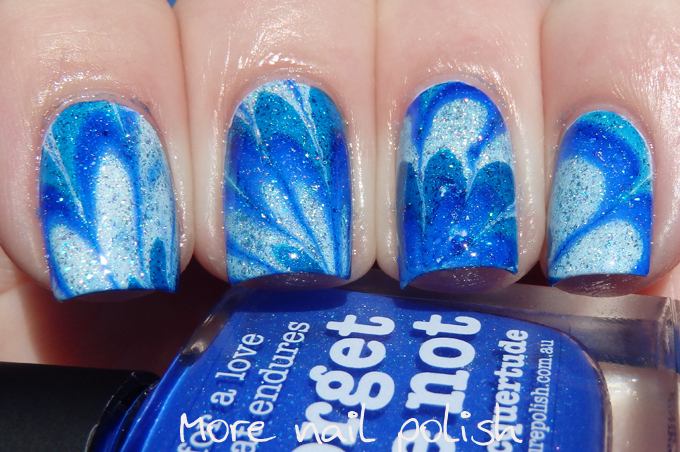 Ahhhhh, Watermarble day. The one day of the challenge that I thought I would always dread, yet here I am declaring myself pretty damn good at water marbles these days. Oh I've come such a long way over the years. 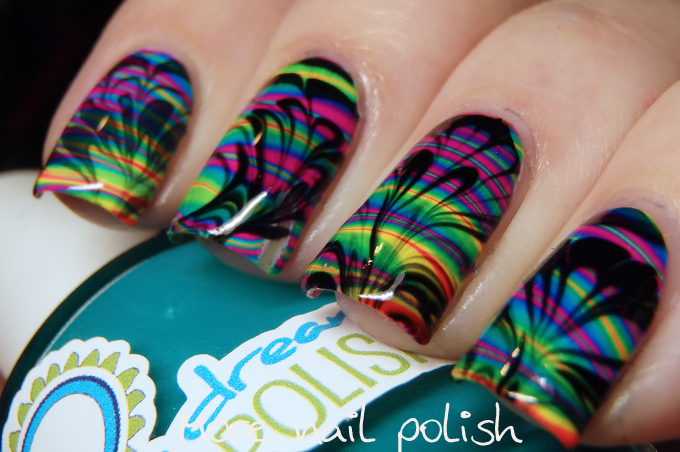 I remember my first challenge watermarble and the truth was it was nearly perfect and I was so in shock that I actually managed to pull of a real watermarble. 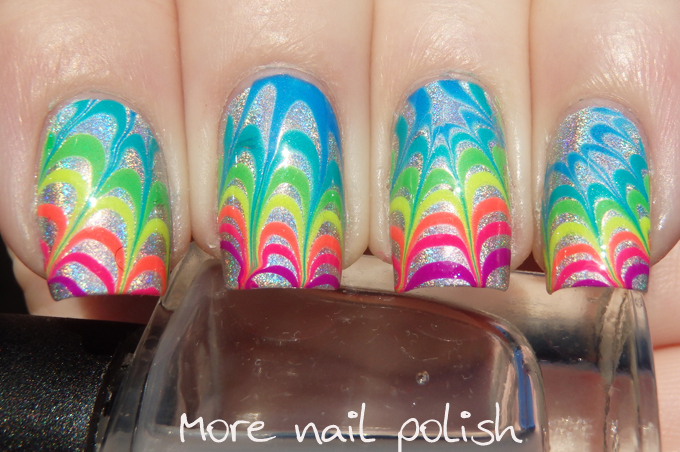 Then I practiced even more, and read and read other peoples tips and then one day the marbling gods bestowed upon me, the watermarbling gift. So then what do you do when you are feeling pretty confident doing watermarbles? You do a double one, layered on top of each other. 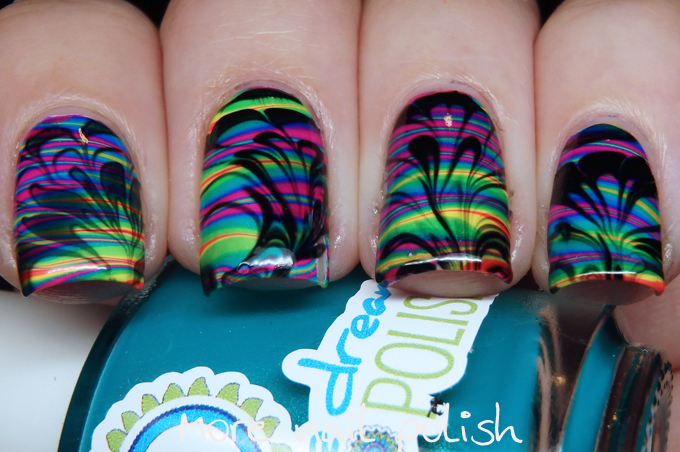 I started with a sideways dragged water marble using the Pipe Dream A Night in Vegas Cremes, then on top of that I did a black and clear flower design marble on top. I love how it almost looks like wafts of smoke over the top. My galaxy nails from 2013, 2014 and 2015! 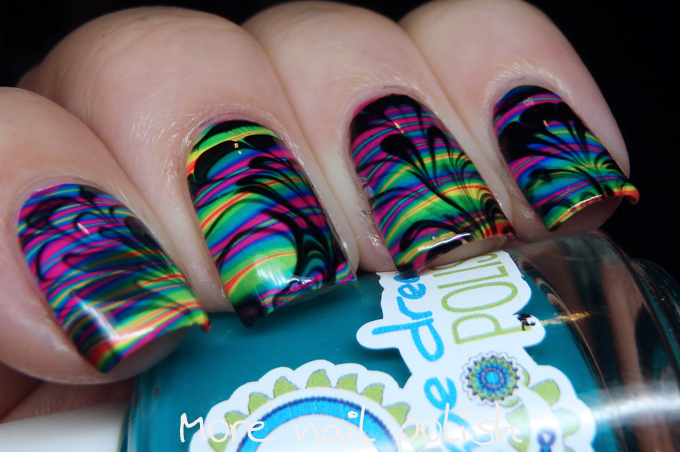 Oouu double water marble! lol awesome job! Wow! I was just happy to be done with today's prompt but you have really showed how it's done! 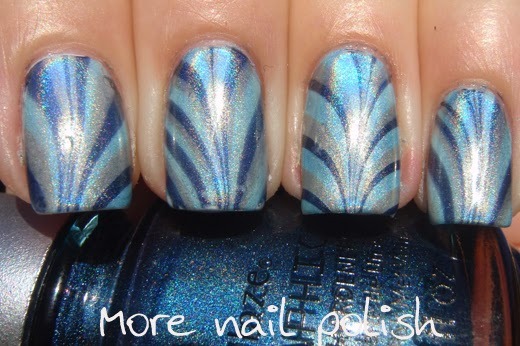 Really beautiful mani and awesome job doing a double marble. I dipped my fingers with both watermarbles, no decals this time. This is completely beautiful! 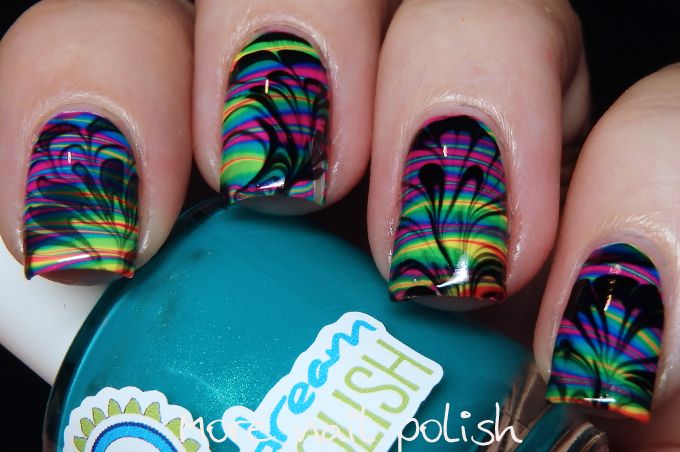 You're clearly the water marble queen!